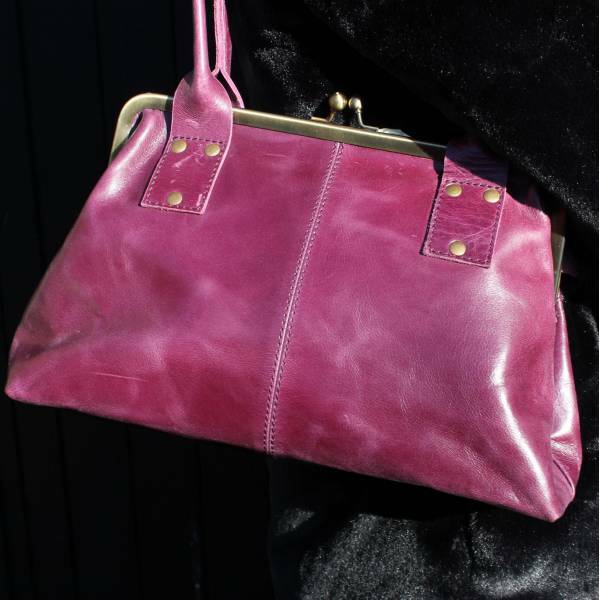 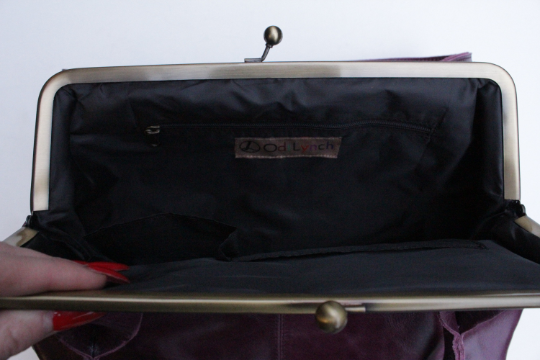 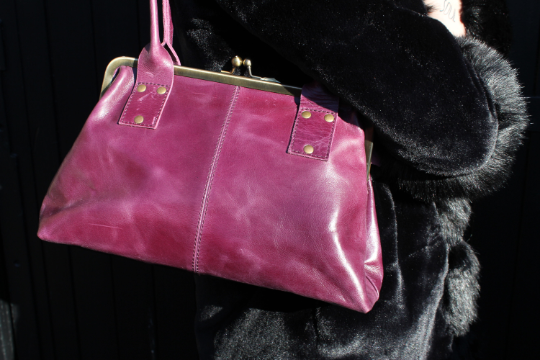 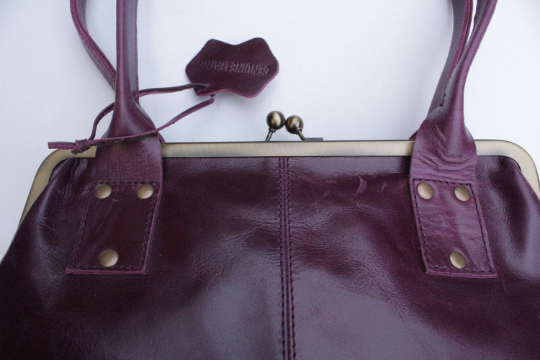 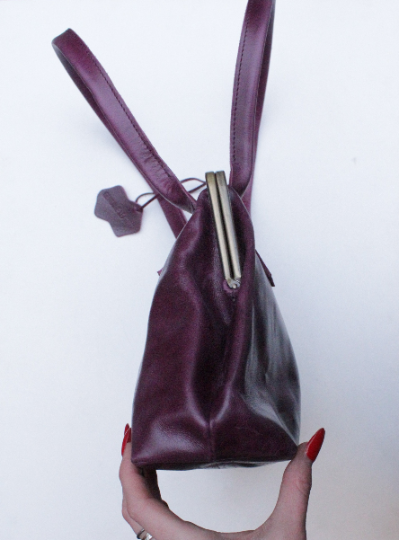 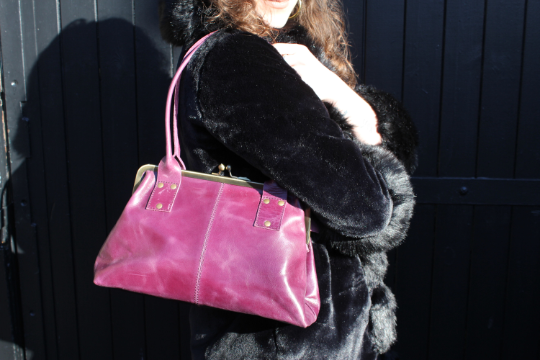 Doris comes in Purple leather kissclip, clipframe nappa leather bag with internal compartments, one zipped and another two are open pockets. 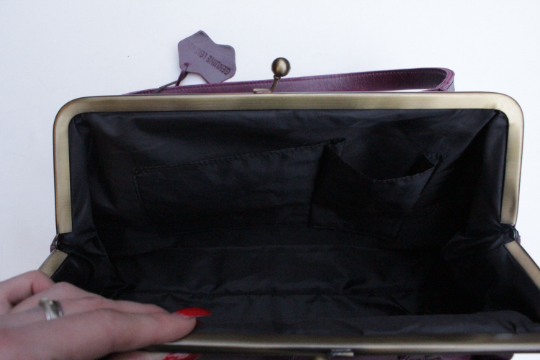 The lining is waterproof and durable. 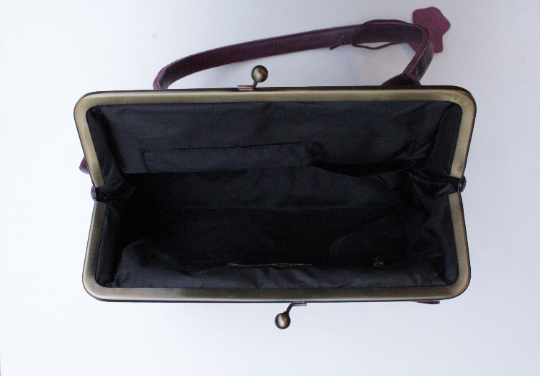 This bag has a comfortable rolled shoulder strap.